Alden Projects™, a project-based enterprise from New York presents L.A. Air: Still Breathing? : a special installation at Printed Matter’s L.A. Book Fair from January 31st- February 3rd at The Geffen Contemporary at MOCA in downtown Los Angeles (Mezzanine, Gallery U). This project collects together signal Los Angeles-centric editions, artist’s ephemera, drawings, and important documentation from the city’s golden era of smog (1959-1973). In addition to a significant collection of rare Ferus and Irving Blum Gallery posters (e.g. 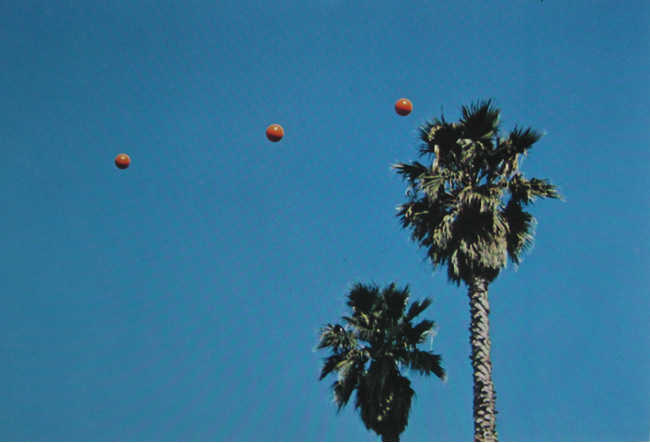 Ed Ruscha, Robert Irwin, Craig Kaufman, Donald Judd, Frank Stella, Ellsworth Kelly, Roy Lichtenstein and many others), this project unpacks other early touchstones of Los Angeles’ luminous art and publicity apparatus including Claes Oldenburg’s first ever Mickey Mouse at Dwan Gallery (1963), John Baldessari’s palm trees, red balls, and blue skies (1973), and Bruce Nauman’s re-duplicative invocation of soot-filled skies in his monochrome-heavy publication, L.A. Air (1970). 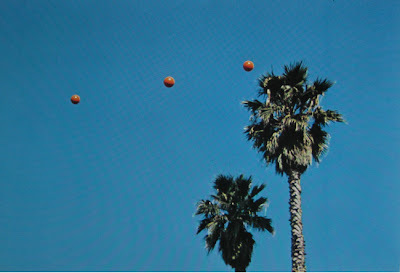 No show about printed matter and Los Angeles air from the 1960s – early 1970s would be sufficiently perplexing without Ed Ruscha. In addition to a complete collection of Ruscha’s signed photographic books (1963-1978), this installation also includes a rare accordion-folded prospectus from the publicity apparatus of Ruscha’s own publishing enterprise--Heavy Industry Publications; it announces the serial gambit of the artist’s peculiar enterprise in addition to the books’ very small prices. That was then. This is now. This presentation also features important ephemera for example, by John Altoon, Larry Bell, Chris Burden, John McCracken, and many others as well as John Baldessari’s early and important artist’s books. Because Los Angeles air also flows north and south, this installation also features seminal California ephemera, including the only known, extant example of the poster of Wiliam T. Wiley’s legendary Slant Step show in Berkeley, 1966. Ranging to the south, L.A. Air: Still Breathing? also features a collection of rare photographic postcards by San Diego-based artist, Eleanor Antin from her 100 Boots series (1971-73). These ephemeral works defied the conventions of art’s support and distribution: they picture battalions of Viet Nam-era Army Navy surplus boots marching and luxuriating California mises-en-scenes and found their audience in mailboxes across America instead of in galleries and museums. Finally—and putting the air into despair—this project ends with an out-of-time banner by Mike Kelley featuring an enlarged skull on a leprechaun-rasta back ground; it is a coda for the viewer to pause and to again breathe in the ephemeral character of a place and a time out of joint. Inevitably, the dark ink of these ephemeral registrations transforms in the clear light of today’s artistic air: all works for sale. Alden Projects™ installation can be found in the Mezzanine in Gallery U.